By sevvy July 4, 2017	 Happy 4th!! SILVER SPRING, Md. --- American Adventists have broken the Guinness World Record for veggie burgers grilled and consumed in a day. Real time data on Adventist veggie burger consumption is being reported by the North American Division's Veggie Binging Department. With the day far from over, Adventist 4th of July barbeques easily beat out the previous Guinness record of 666,000 veggie burgers eaten by a group in a day. 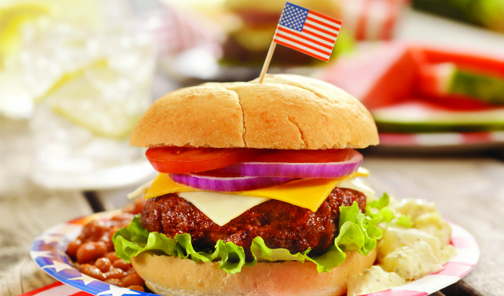 With Independence Day far from over, patriotic Adventists from sea to shining sea have been reporting an average of 28 veggie burgers consumed per family. Individual Adventists have worked their way through six burgers a piece before substituting the seventh for some rest. Adventists in the Loma Linda area alone reported tearing through 144,000 veggie burgers, a figure a spokesperson said "makes sense given the unique makeup of our community."